As we do each year, Medsquare will be participating in the 2016 edition of the Journées Francophones de Radiologie (JFR). This exhibition is the most important event on the calendar and a must for French and francophone healthcare professionals. Technologists, radiologists, and other healthcare professionals in the medical imaging field will benefit from a full program of training, with the opportunity to meet each other and exchange best practices and the latest equipment features. This year, the focus is on two topics: the follow-up in oncology, and medical imaging for sports/athletes. Our CEO, Marketing Leader, Sales Manager, Software Architects, Product Specialists and Application Engineers will all be attending this year − and we will be happy to welcome you to our booth #233 (level 2). So, join us at JFR, from 14 – 17 October, at the Palais des Congrès de Paris − and discover the latest features of RDM! 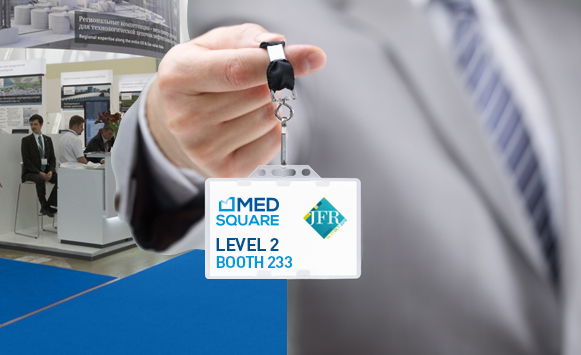 At JFR, Medsquare will present the new features of our Radiation Dose Monitor (RDM) solution. At the same time, an event will be held on Friday, 14 October, in the form of a meeting/gathering with user experience feedback on the RDM solution. 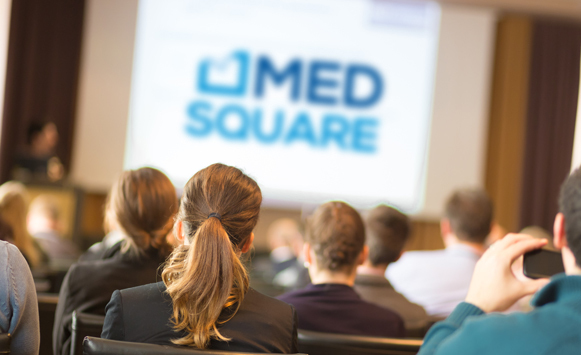 • Celebrate Medsquare 10 year anniversary ! This event will take place in the Courcelles Room of the Hotel Méridien Etoile on Friday, 14 October, at 6 PM and will be followed by a cocktail dinner.